Aaron is making great progress and learning that people can be trusted! 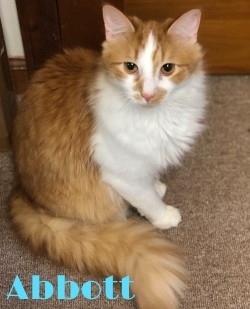 Abbott is an orange and white sweetie who loves head rubs! 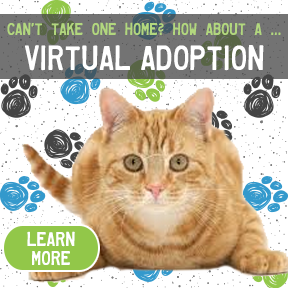 Alice is a smarty-cat and knows her name when called! 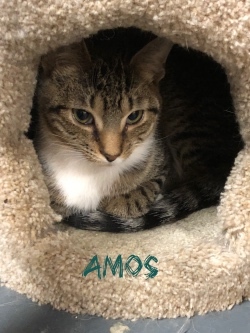 Amos would do very well with other cats and kids over 10! 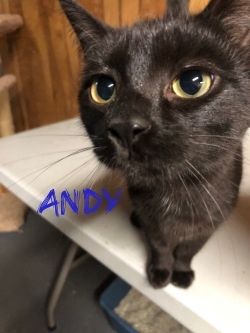 Andy loves other cats and kids over 10! And attention? He'll take lots of that, too! Angel has a big purr as huge as her heart! 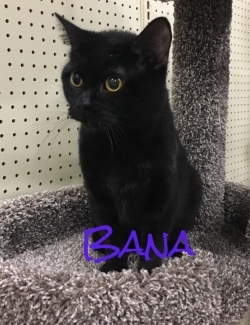 You'll go bananas for Bana! 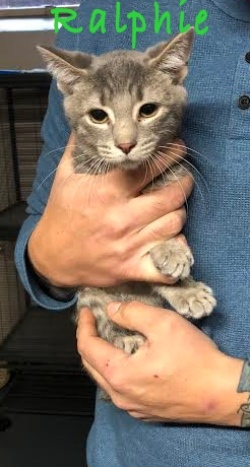 She's super loving and affectionate! 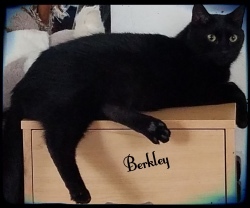 Berkley is a big lover and would like an adult-only home. Don't be alarmed if he licks you! 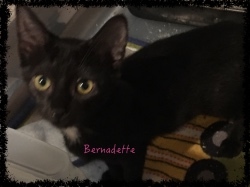 Bernadette is a playful, affectionate gal! Blizz will warm your heart! 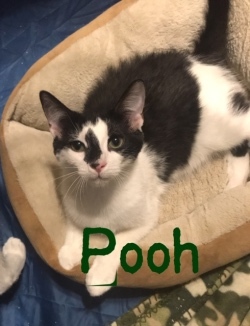 This little noodle is your perfect dude for snuggles, purrs and kitten sillies. 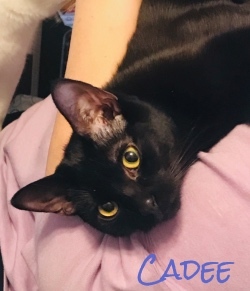 Cadee is talkative with her toys and likes cats and kids! Pick me up and watch me purr! 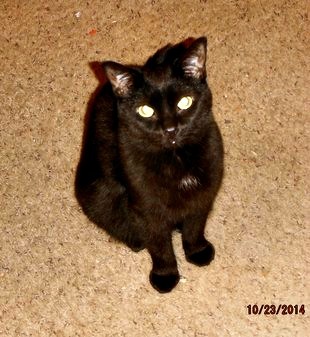 Cadence is a 2 year old who is sweet and laid back. 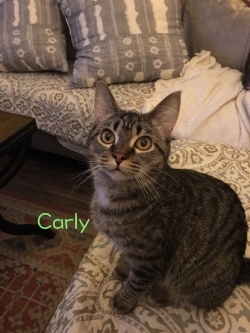 Carly loves her PomPoms and loves snuggling! 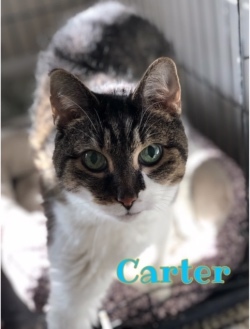 Senior Kitty Carter deserves to live out his life with love and in cuddly comfort! Senior for Senior discount applies! 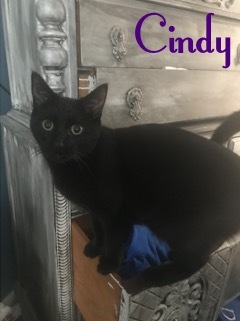 Cindy is a sleek beauty! 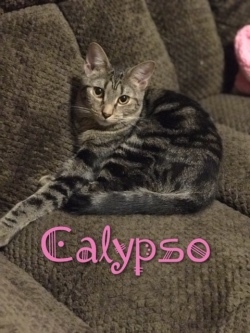 She's loves snuggling at night and gets along well with cats, dogs, and kids! 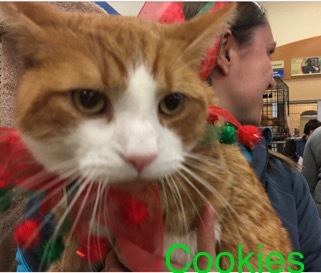 Cookies is a great guy, and deserves a permanent, loving home! 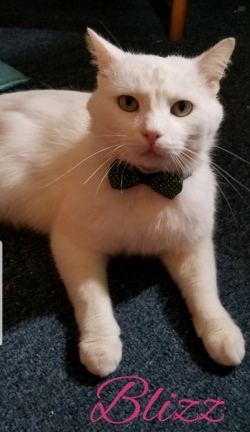 Costello is a great companion and he's so sweet! 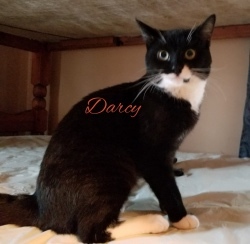 Darcy likes dogs and other cats and snoozing with her foster mom! 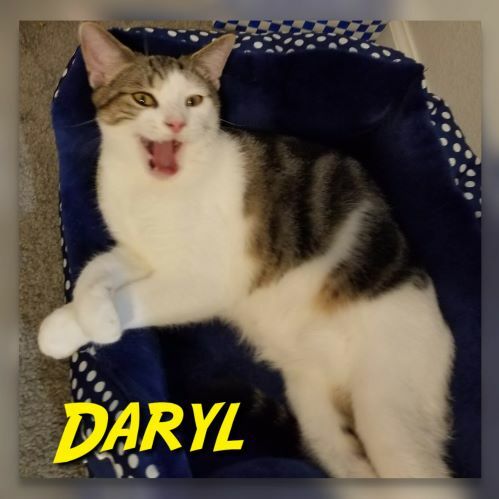 Daryl loves to play and eat treats! 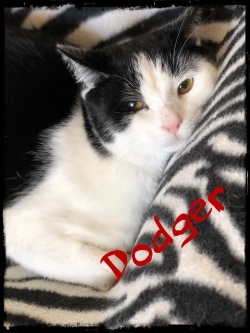 Lucky Dodger is one special kittie! Click to learn the story behind his name! Emma was found along the side of a busy road and her rescuer at first thought she was "road-kill", until she moved! Evan is an on-the-go guy who loves to run, jump, & play. 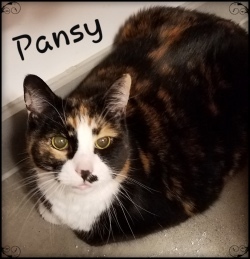 Fancy is a good girl who just needs a chance to have a loving home. 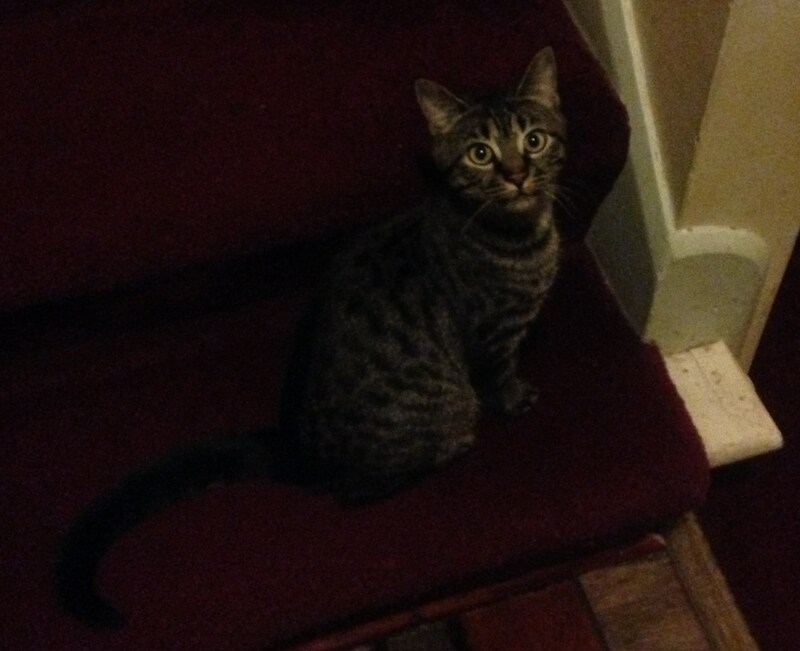 Hutch has blossomed into a really fun, awesome kitty! 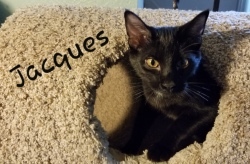 Jacques is a purr machine and wants to be close to his humans! 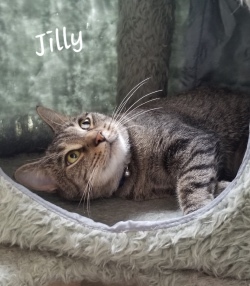 Jilly loves jumping on laps and getting petted! 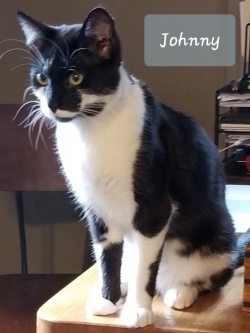 Johnny likes to stay close in case you need his help with anything! Lala needs someone to smother her with love and affection! 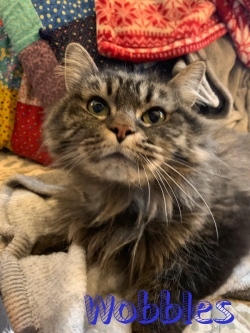 Lovey doesn't even know how lovely she is...she was born with no eyes and is FIV+. 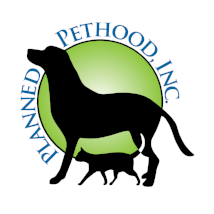 She gets around great and does well with polite cats and dogs! 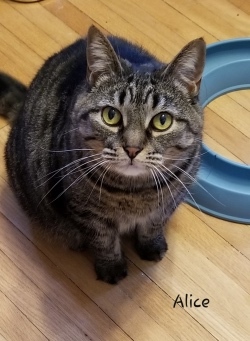 Lulu is a beautifully marked Tabby with huge round eyes. 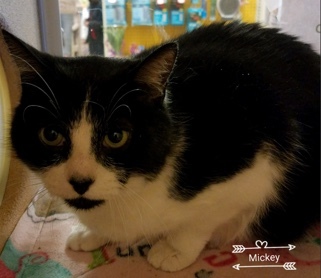 Sweet and shy Mickey was a surrender. His owner refused to leave him to go to a homeless shelter until PPI stepped in to help. 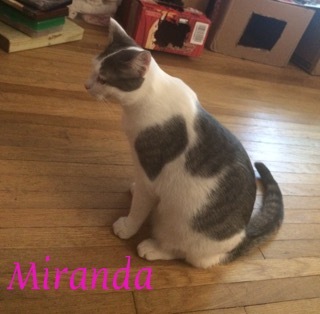 Miranda is quiet and keeps to herself most of the time, however she loves to play. 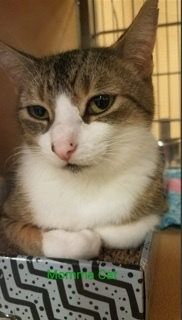 Mobie enjoys the company of other kitties, and he'll make little chirping sounds to get your attention! 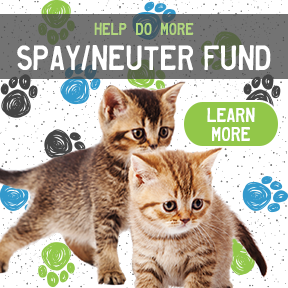 Momma Cat is a sweet talker and loves to be petted! 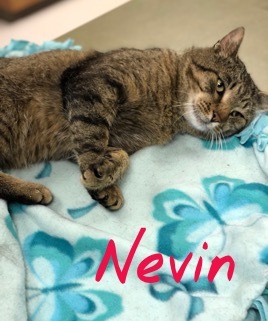 Nevin may be fiv+, but that doesn't stop him from being the sweetest 2 year old purr machine! 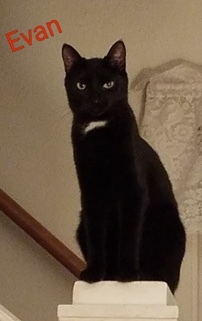 Sleek Onyx goes nuts for the laser pointer and is good with other cats and dogs. 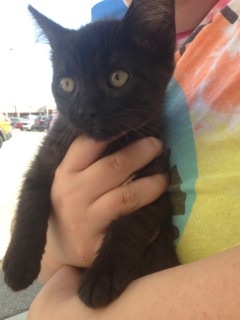 Oscarlina is looking for a home with other kitties to play with! 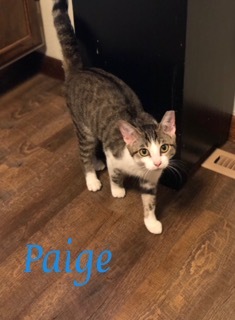 Paige is a cool, laid back cat who gets along with small dogs and licks your face! 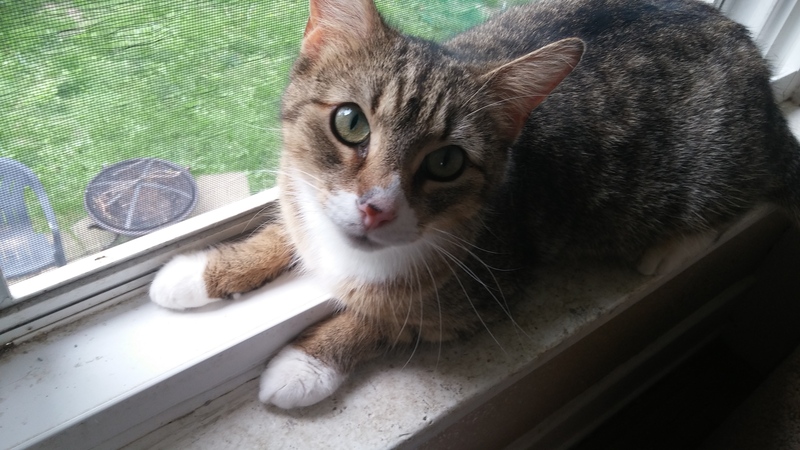 Paige Lynn absolutely loves sitting in windows and will stay there all day. 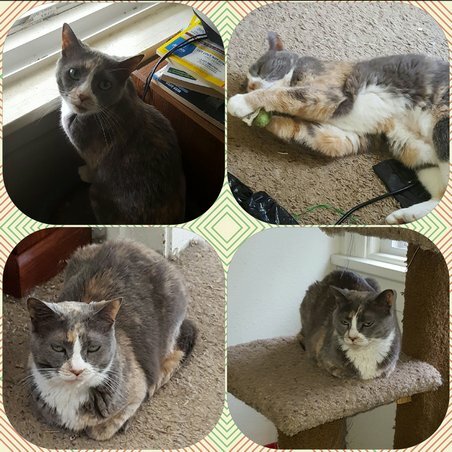 Senior Calico Pansy is looking for a quiet and loving home all her own! 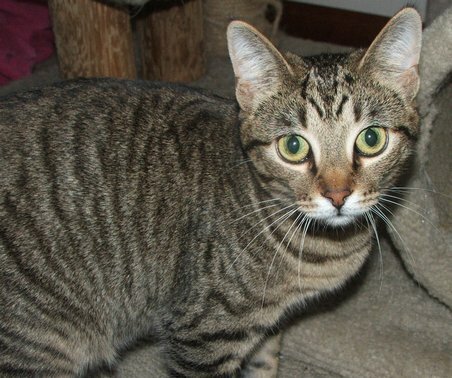 Pearl is a love bug with a bundle of energy when playing, but can be a little shy when you first meet her. Peirce is like a a handsome little cheetah! Penelope is always on the go! Like a famous Pooh once said, "Sometimes the smallest things take up the most room in your heart." 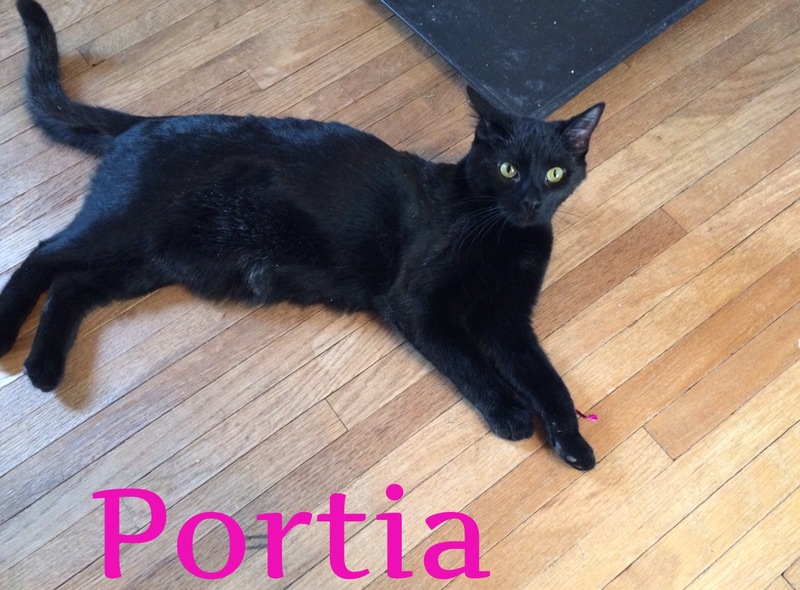 Portia is a typical playful young cat, but she also likes having a quiet spot for herself. 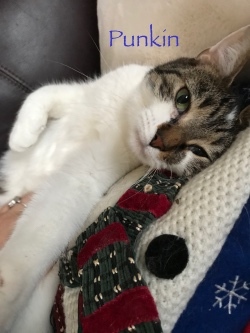 Punkin loves giving plenty of cuddles and is most comfortable in a calm home. Ralphie is a little timid, but warming up! He likes canned food as a treat! 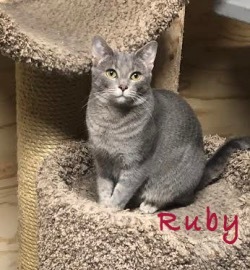 Ruby is FIV+, and gets along well with other cats that are well behaved. Ryker may have had an eye removed, but that hasn't changed how sweet and loving she is! 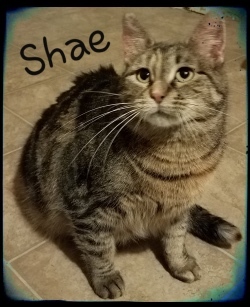 Young adult FIV+ Shae has lots of life and love to give! 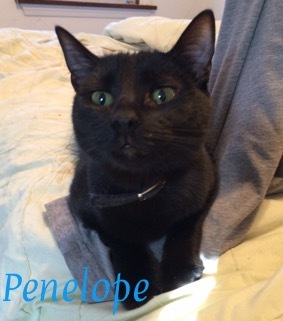 She's very affectionate and loves your attention! 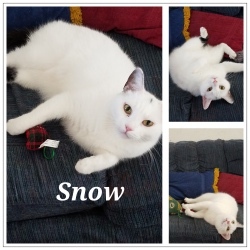 Young adult Snow is the perfect companion for a calm home. 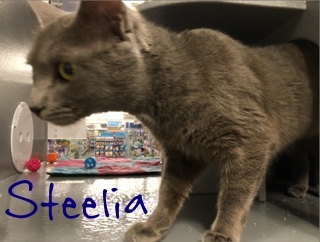 Petite Steelia is full of life and loves to talk! 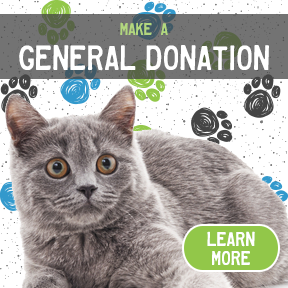 She's your typical awesome cat, outgoing and energetic! 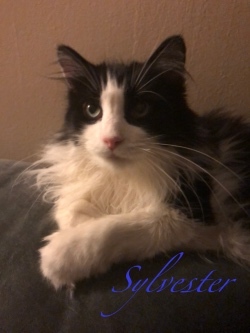 Sylvester is a young boy with an old soul! 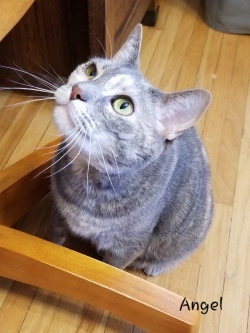 Tahji has lots of love to give, and thrives in a quiet environment! 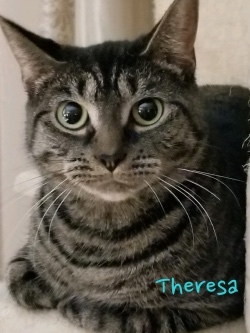 Theresa is a quiet companion and loves attention. 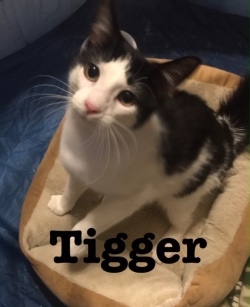 Tigger will bounce right into your arms and your heart! That's what Tiggers do BEST! 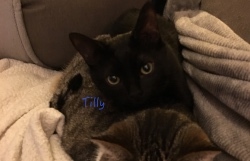 Tilly may be a teeny bit shy, but she's also very playful! Looking for lots of love this Valentine's Day? 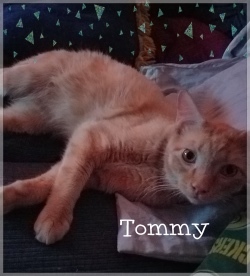 Tommy is your boy! 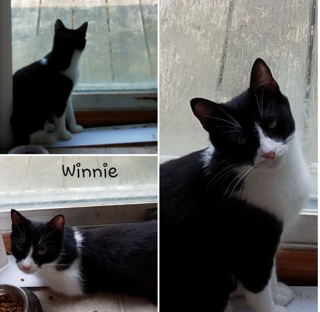 Winnie is a little shy at first but warms up quickly, rubbing against your legs and purring! 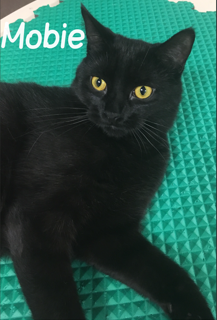 Miss Wobbles is an adorable 2 year old who purrs nonstop! 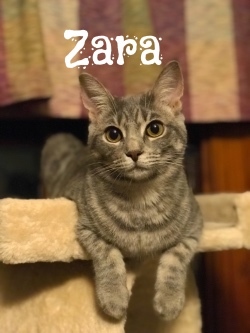 Precious Zara is a sweet kitten with a gentle meow, who loves attention! 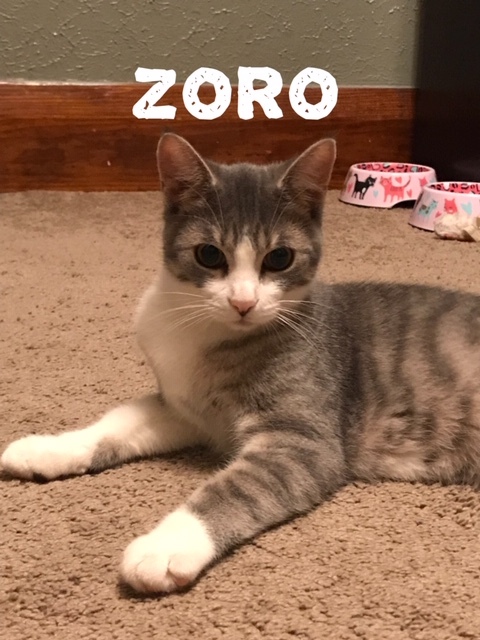 Zoro will steal your heart!